To reduce your cost, Brandsport offers this item in Bulk (sold here individually). Gorilla also lists this same item in 4-piece sets as Display Package # 30027 and Bag # 30027B. Excellent seating surface means a perfect factory fit. The hardened steel construction means superior durability. The zinc plated finish is truly durable. 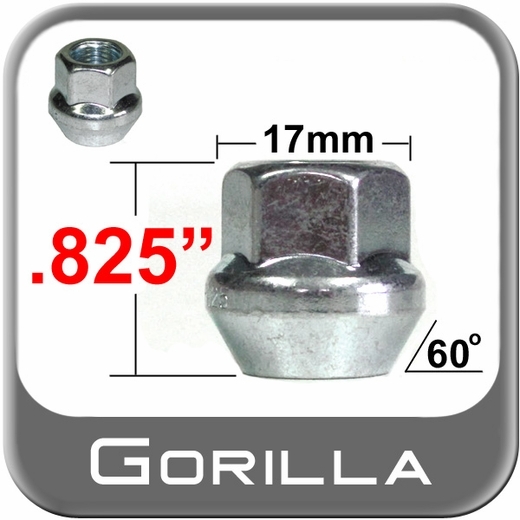 These zinc plated lug nuts deliver lasting beauty.